Why should you have 100% confidence in the NoteWorthy band? Because the band has performed for, and is trusted by, many large organizations such as the March of Dimes, the American Kidney Fund, Huntington Chamber of Commerce, Huntington Performing Arts Center, Crest Hollow Country Club, Huntington Hilton, Radisson Hotel, dozens of local restaurants, etc. The NoteWorthy band has been in the News and on local television. Click Here to view some footage of the band which was aired on FIOS News at the Huntington Fall Festival (on the Chapin Rainbow stage) which attracts tens of thousands of visitors each year. What could be more compelling than LIVE music to make your event successful and memorable? With the NoteWorthy band, you get fantastic live music and a professional light show that is in sync with the music. The NoteWorthy Band is a versatile local band. One of the many unique aspects of the NoteWorthy Band is that you can blend (if desired) various music genres. For example, the band could start off with one music style and then switch over to another style of music like dance music, classic rock, funk, rock, pop, top 40, etc. The band can provide the quantity of entertainers to fit your needs. For example, if you are planning a cocktail party in a small venue, you would require LESS musicians. If you are planning a large event, you would probably seek more entertainers (drums, bass, guitar, keyboard, singers) for the band. 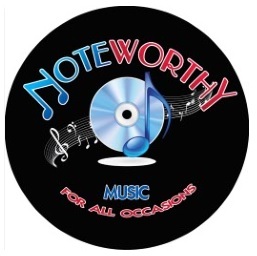 The NoteWorthy Band can accommodate your needs whether it is one musician or many musicians. The band performs top hits for a wide variety of events including private parties. The polished members of the band have collectively performed at thousands of venues. This multi-talented, multi-faceted group pays tribute to an overwhelming variety of musical genres. Fabulous Dance, Rock, Classic Rock, Music of the 60s, 70s, 80s, 90s, Pop, and Top 40, and Jazz all have a place in the band’s expansive set list. The band delivers a high energy show that will leave your guests with unforgettable memories and keep them smiling and on the floor the entire night. The mind-blowing vocals will surely make your event stand out. The band will tailor their performance to suit your needs including taking requests for specific songs. No two shows are the same. The band provides an interactive theatrical experience that leaves everybody feeling they were part of the show. Do you need live music for your event? If so, hire the NoteWorthy band! The NoteWorthy band was nominated as a top band on Long Island!